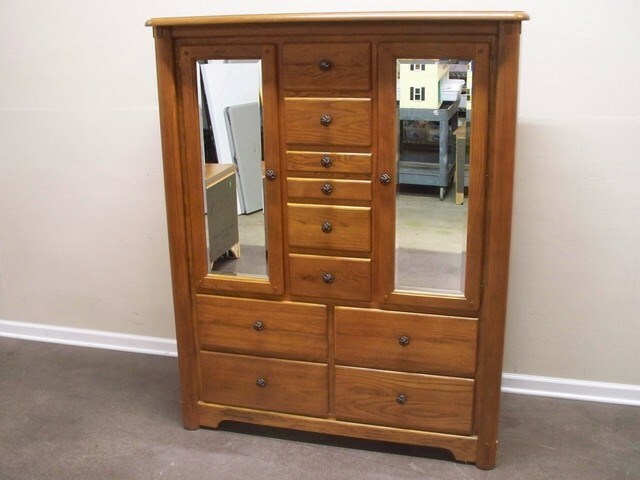 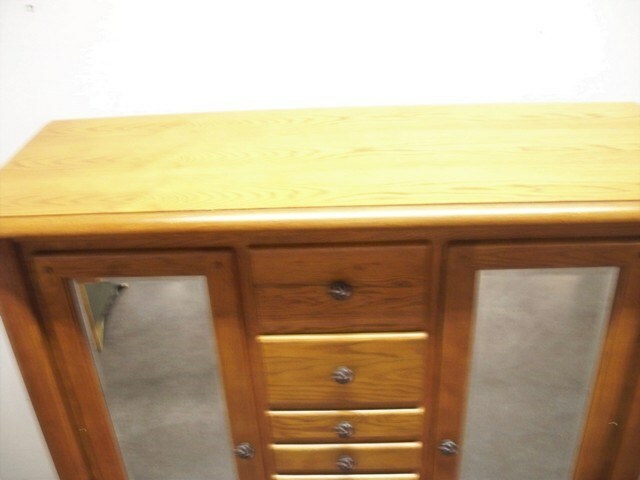 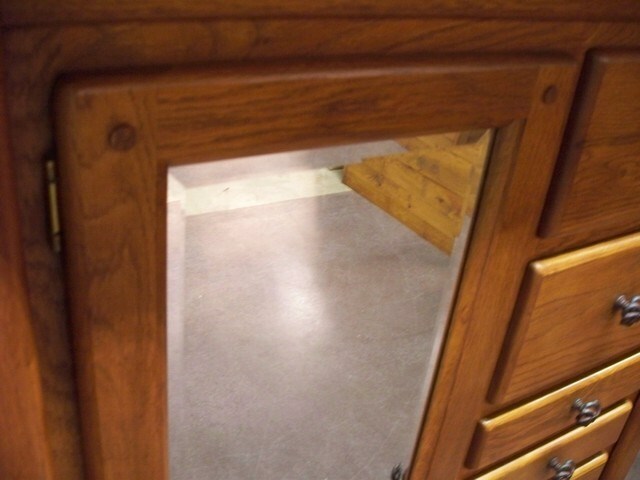 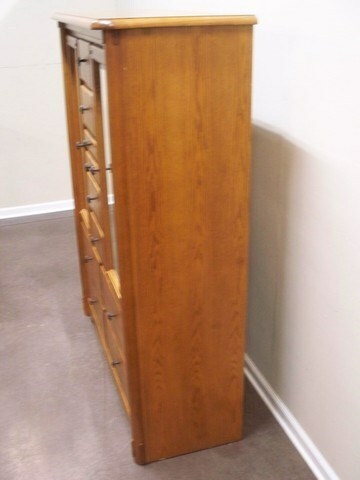 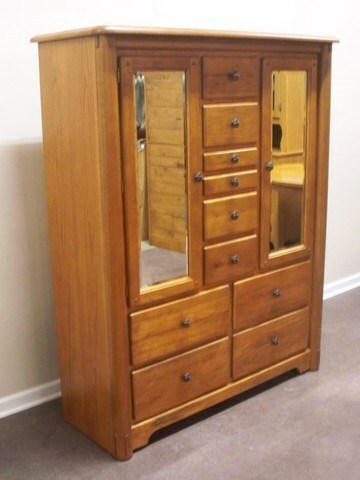 Oak Bedroom Armoire with Beveled Glass Mirrored Doors. 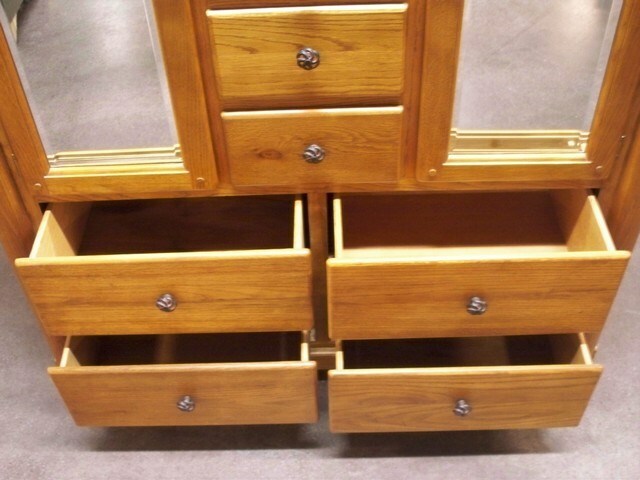 2 Shelved on each side with 6 Drawers in the Center (2 are for Jewelry) and 4 bottom Drawers. 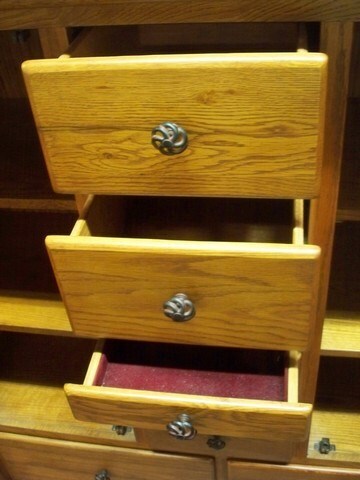 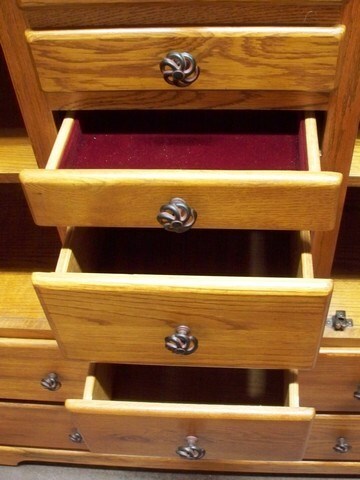 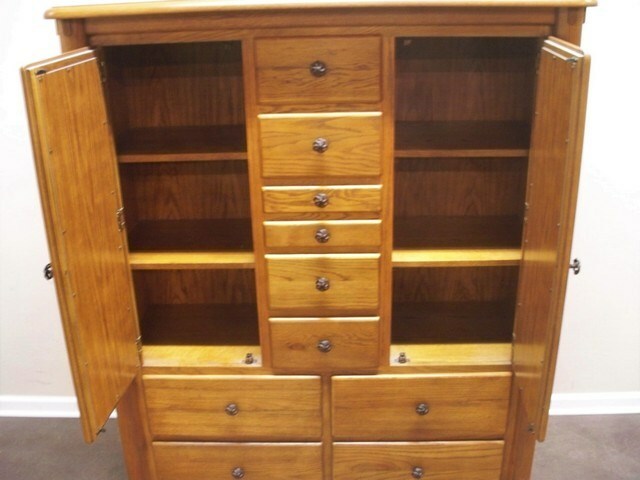 Nice Drawer Pulls. 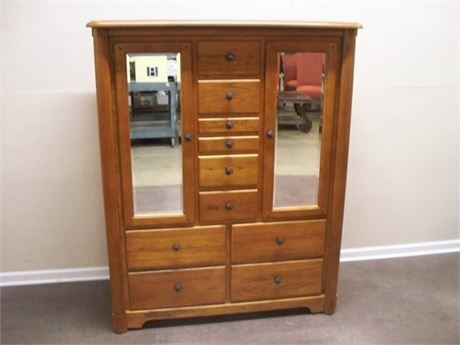 Lots 1, 2, 171, 172 & 213 are companion pieces.